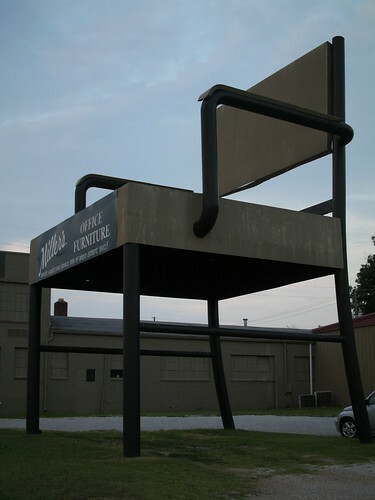 When I grow up (to become a giant), this will be my office chair. Joseph Epstein shares a story in the essay “Quotatious.” On a radio program with several other writers, the host asks Epstein what it takes to be a writer. Last week, my good office chair broke apart while I sitting in it. I had noticed the back was wobbling strangely a day or two earlier, and the entire back snapped off as I leaned back from my computer. Since then, I’ve been using a $20 plastic chair from IKEA that is not intended for all-day sitting, and my lower back has been suffering for it. Someone — I think it was Brett Terpstra — once said that, if you’re going to be using anything for 8 hours a day, make sure you’re using the best you can afford. This applies to office chairs, beds, software programs, tools — really, just about anything. The added productivity, speed, and/or comfort will more than make up for the cost. With my chair, I’m discovering another cost to using a cheaper option. The back pain it causes makes it difficult for me to sit for any length of time, which means that it’s difficult to work for long stretches on my writing and coding projects — and thus difficult to develop rhythm or get into a zone. Further, there’s a Pavlovian response that develops. My body knows that sitting in the chair causes pain; writing requires sitting in the chair; and so the thought of writing itself becomes painful. Writing is already hard enough, and this just adds another, unnecessary barrier. Before I bought my good chair, when I was using a just-okay chair that was slightly better than the really-cheap chair I have at the moment, I would often find myself exhausted, tense, and irritable at the end of a day of work. This confused me for a long time, because I was doing work that I enjoyed, and coming home to a family that I knew I loved, but the end of the work day left me in an incredibly foul mood. One day, I began paying attention to the signals my body was giving me, and I realized that there was nothing wrong with my work or my family — it was my chair that causing the problem. Even though it seemed too expensive, I purchased a better chair, one designed for long hours of desk work, and my days immediately improved. The cost, spread out over the years I used the chair, turned out to be one of the best investments I have ever made. This entry was posted in Writing and tagged Joseph Epstein, Liz Carpenter, Office chair by mhick255. Bookmark the permalink.